Jacques Grange is one of my favorite designers. 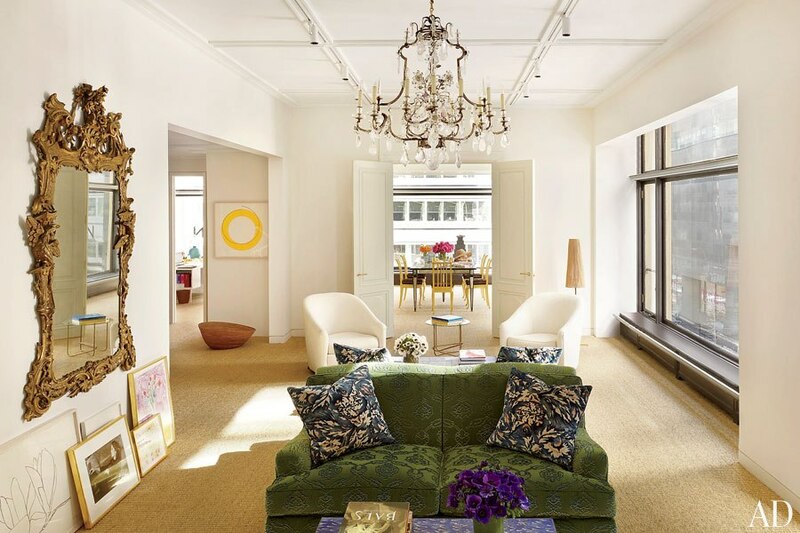 I adore the work he did on Aerin Lauder’s new office. Lauder recently launched her own home décor and fashion company after years of working for the company her grandmother, Estée, founded. It’s not easy to create an office that is functional and beautiful. This one is. 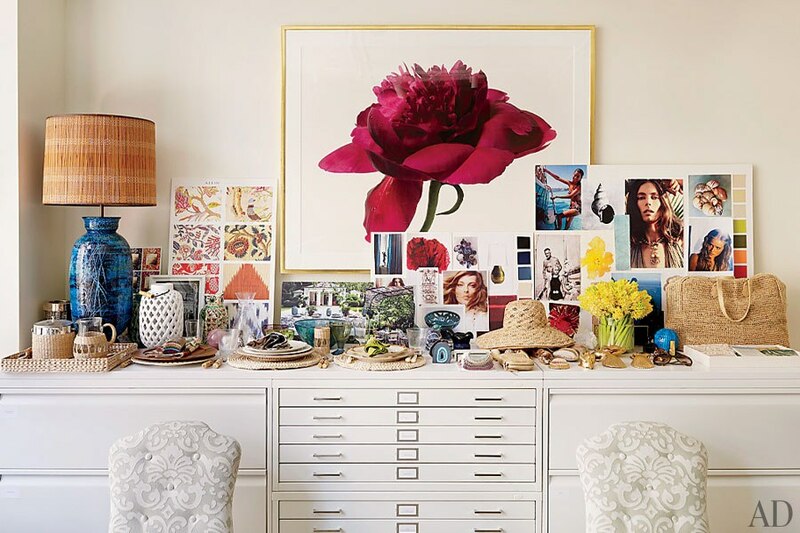 Mood boards in the design studio. 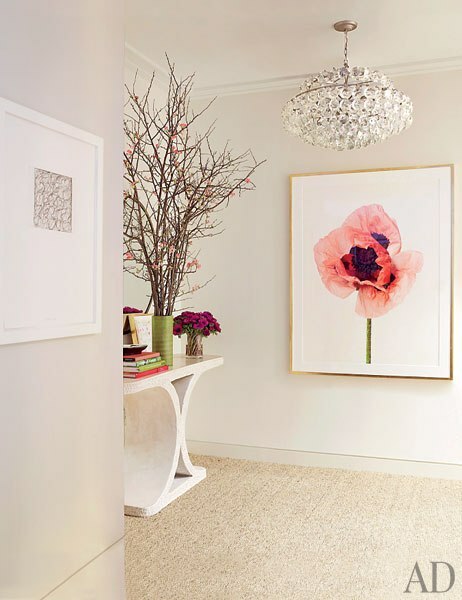 The entrance hall, pictured above, sets the tone the minute you walk into the office with its art, fresh flowers, and that gorgeous chandelier. To read the article and see more photos of this fantastic space, click HERE.